You’d think that one of the world’s biggest pizza chains would know a thing or two about pizza. But the message that pizza dough has a nasty habit of expanding was apparently lost on one Papa John’s Pizza worker. 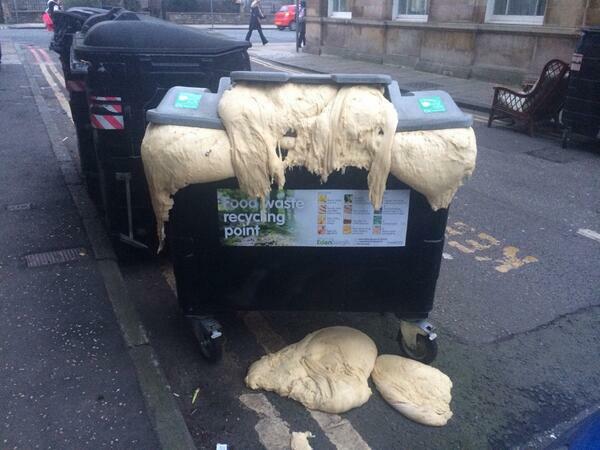 Edinburgh resident Ailsa Burn-Murdoch tweeted the above picture, taken this morning, from outside a Papa John’s in the city’s Crown Street, adding that the restaurant probably owed the person whose job it was to clear the mess up a year’s supply of pizza.